Another brilliant game here at Wizard. 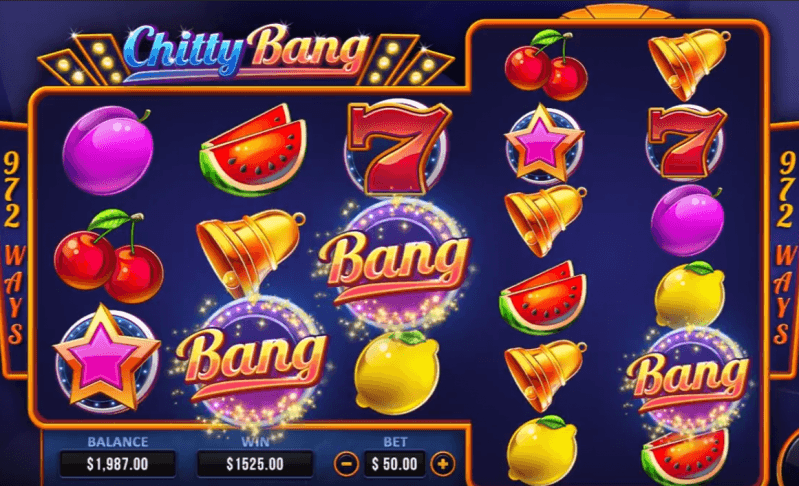 Although Chitty Bang isn’t based on the legendary film, it’s an exciting slot nonetheless. This PariPlay creation perfectly merges classic slot designs with modern features. Whether you have a personal preference or not, Chitty Bang appeals to everyone. 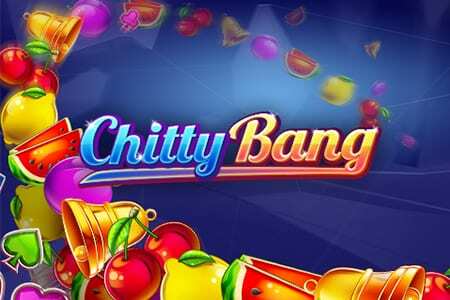 Chitty Bang is a 5-reel slot with a twist. The first 3 reels are 3x3 and the last 2 reels are 2x6, which gives an enormous 972 ways to win. To match the exciting base game, there are Giant Re-Spins and Scatter Free Spins features on offer. Enjoy different eras of slot games with this great creation. Find out more about this developer at Wizard. With its welcoming vibrant soundtrack, you’ll immediately realise that Chitty Bang is a game full of excitement. It’s unusual reel setup and 972 ways to win can be the perfect recipe for big winning combinations. As soon as you start playing you’ll recognise the difference in the game symbols. The lower valued symbols are the four playing card suits. The medium valued symbols are plums, lemons, cherries, melons and golden bells. In addition, you’ve got special symbols to keep an eye out for, which are: Stars and red sevens. What’s great for the players is that the base game is backed up by WILDS, Giant Re-Spins and SCATTER Free Spins. * GIANT RE-SPINS – When reels 1, 2 and 3 evolve into one huge lit symbol, you’ll receive a Giant Re-Spin. During the Free Spins BONUS, if you hit 1 scatter you’ll receive an additional 2 spins and by hitting 2 scatters you’ll receive 4 spins. Also, the furthest two reels are merged. The beauty of Chitty Bang is that it appeals to old-school and modern players. The classic style of play combined with good features gives you plenty of winning potential. Not only that, but the unique setup of the reels is a nice change from standard 5x5 game boards. Sure, you’ll have played better games, but Chitty Bang is definitely worth some spins. If you enjoyed this game why not try Sevens & Fruits.